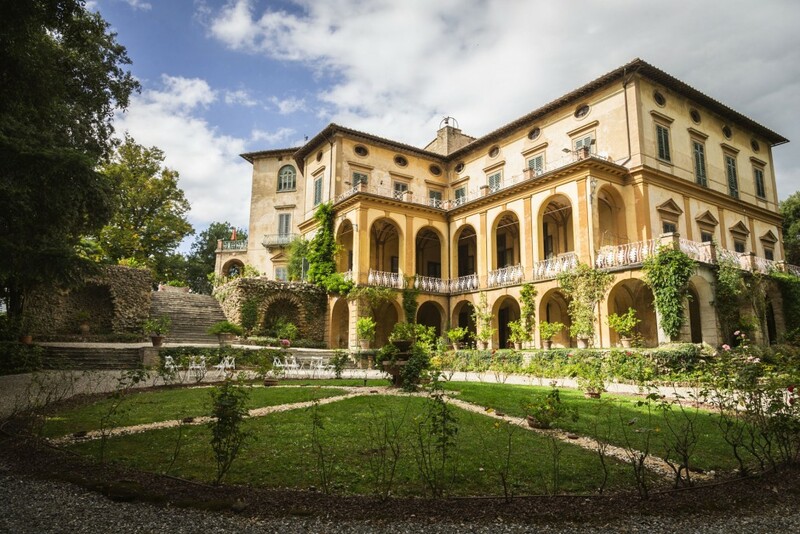 The Villa di Striano is one of the most valuable historical buildings in Mugello and it is an Historic Residence of ADSI (Italian Historic Houses Association). Surrounded by Apennines, it has a unique panoramic position and it has a very large English style historical park with majestic old trees also of rare species. From the main garden terrace you can admire one of Mugello’s most beautiful views. 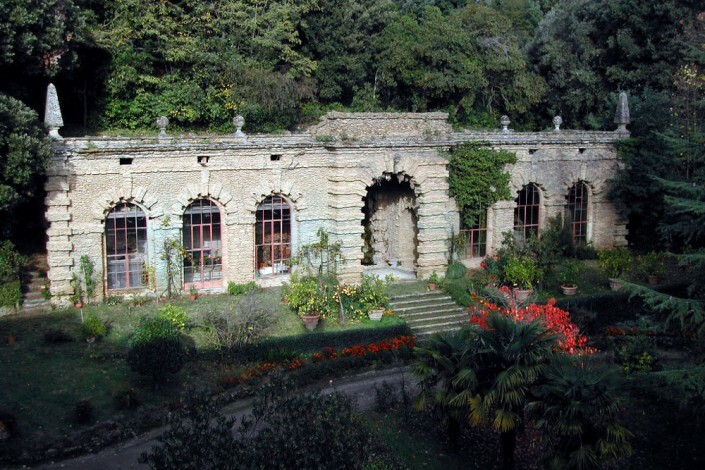 As you rediscover the calm atmosphere of a past lifestyle, romantic and intimate paths lead you through the park’s shady routes, down it’s narrow steps, to it’s little caves and fountains. 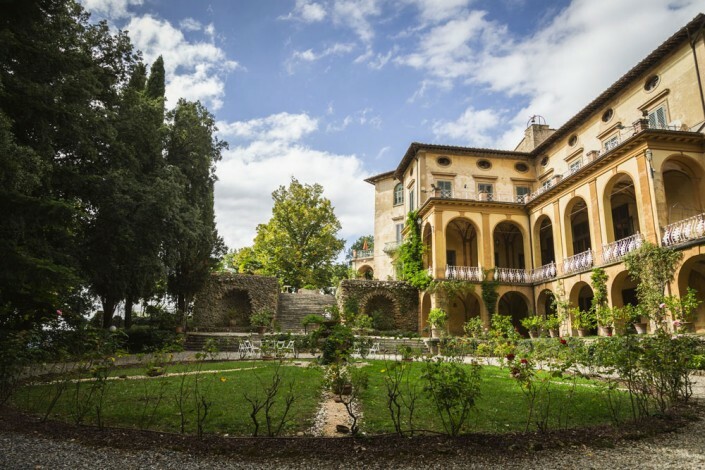 The sunny limonaia, designed by Del Moro under the Buontalenti influence, offers visitors the pleasure of an unexpected surprise. 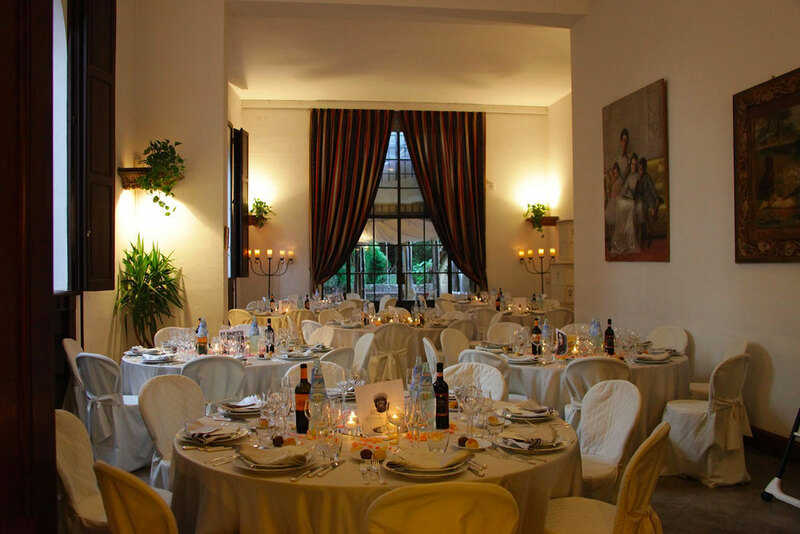 The vast and versatile interior halls are suitable to organize any kind of event. 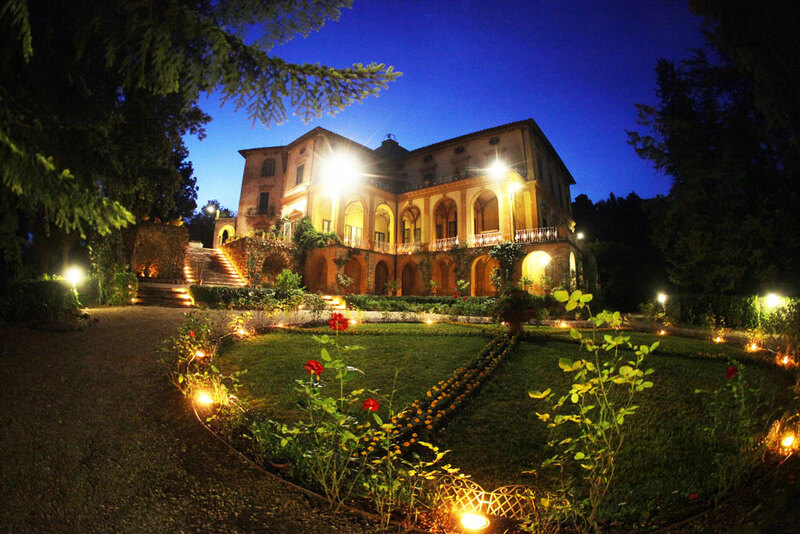 Villa di Striano is the ideal place for exclusive and prestigious events. The main floor of the villa consists of a series of rooms and living rooms all furnished with original furniture and visiting it you have the feeling of being out of time. The paintings on the walls make it a kind of art gallery. During the guided tours every environment is richly illustrated and hearing the romantic story of this house you can breathe the atmosphere of the time. The environments, adaptable to every customer needs, have capacities ranging from 10 to 300 guests and unique environments for 220 seats. The overlooking position to the valley of Mugello gives the visitor a unique view. From the Piazzale Belvedere we can see how beautiful and unique is this valley. The summer sunsets, the sequence of spring green colors , yellow and red of autumn and the white peaks of the Apennines in winter, are really a beauiful scenario. The big English style garden is rich of unusual species of large ancient trees and plants like a botanical garden and a romantic walk in its paths encouraged by the stress of underground life , offering unique moments of silence, interrupted only by the song of birds. If you love green and curious about the animal world and you want better to know the content of natural park, the staff will follow you in your walk ready to answer your questions. Each external environment can easily accommodate any type of event with capacities of 20 to 500 guests.